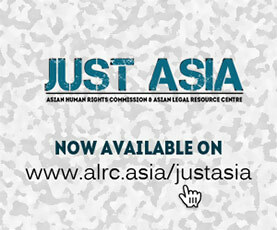 The Asian Human Rights Commission (AHRC) deeply regrets to inform you that two people were killed in separate incidents on September 3 and 4, 2012. One of the victims was the son of a leader of an indigenous tribe opposing mining and the other was a transport leader advocating for the interest of public utility drivers. The AHRC is deeply concerned by these continuous extrajudicial killing of human rights and political activists and the inability of the government to provide them protection. On 4 September, 2012 at 7:20am, Jordan Manda, 11 years-of-age and his father, Lucenio, were on their way to school aboard a motorbike when they were stopped and shot by unknown persons. Jordan sustained a fatal gunshot wound to his back and died on the spot. His father, Lucenio, was wounded but survived the shooting. Jordan was the eldest of three siblings of Lucenio Manda. He was being groomed as the next Timuay of the community; the Timuay being the leader of the tribe. He had been attending community meetings and educational activities. Even at his young age, Jordan had been keenly interested in their Subanen culture and the history of his own people. He also helped his mother, Delma in tending their animals and rice farm, for their food. Lucenio is a Timuay and the head claimant of Bayog Ancestral Domain in Zamboanga del Sur. He had been a strong defender of the rights of the Subanen to their land and their right to self-determination. He is also known to have been strongly opposed to the operation of large scale mining and logging in their ancestral domain. Lucenio has been very vocal in questioning as to why mining has been allowed in Bayog without their “free, prior and informed consent (FPIC)” as provided for by the law. There are currently three approved Mineral Production Sharing Agreements (MPSA), one approved Exploration Permit, and eight mining permit applications. According to Lucenio, the loss of his son is what strengthened his resolve to struggle for the protection of the land rights of the Subanen indigenous tribe and their rights to their ancestral domain. “… I thirst for justice. I vow to continue my struggle in order not to let my son’s death be in vain”, Lucenio said following his son’s death. Lucenio has been receiving death threats prior to the attack. On 3 September, 2012 at 5:15pm, Feliciano “Poncing” Infante, president of the Pampanga-Pandan Jeepney Association and founding member of the Abe Kapampangan representing the transport sector, was shot dead by two gunmen riding on a motorcycle at Jaoville Terminal in Barangay Pandan in Angeles City. Poncing was a leader of Pagkakaisa ng mga Samahan ng Tsuper at Operators Nationwide (Piston), a group of transport sector. Piston is a member of the Kilusang Mayo Uno (KMU). Infante was the fourth leader attached to Piston to have been murdered under the current Aquino administration. In the past, Felix Cultura, a leader of Piston in Caraga, was killed in March 2012; Erning Gulfo, a leader of Piston in Gasak and Divisoria was killed in May 2012 and Ka Jing, a leader of Piston in Baclaran and Divisoria was killed in June 2012. Please write letters to the concerned authorities listed below expressing your concern about these cases of extrajudicial killings. The AHRC has also written separate letters to the UN Special Rapporteurs on the situation of human rights defenders and on extra-judicial, summary, or arbitrary executions for their immediate intervention. Name of wounded victim: Lucenio Manda, a Timuay (leader) of Subanen indigenous tribe. He is the head claimant of Bayog Ancestral Domain in Zamboanga del Sur. Place of incident: Jaoville Terminal in Barangay Pandan in Angeles City. I am writing to raise my grave concern regarding the killing of two people, Jordan Manda, the son of an indigenous tribal leader who had been opposing the intrusion of mining operations in their indigenous community; and Feliciano “Poncing” Infante, the leader of a transport group critical of the socio-political issues in the country. Firstly, on 4 September 2012 at 7:20am, Jordan Manda and his father, Lucenio, were on their way to school onboard their motorbike when they were fired upon. Jordan died on the spot from a fatal wound to his back. His father, Lucenio, was wounded but survived the shooting. Jordan was the eldest of three siblings and was being groomed as the next Timuay, leader of the tribe, of the indigenous Subanen community. Jordan’s father, Lucenio is a Timuay of the Subanen and head claimant of Bayog Ancestral Domain in Zamboanga del Sur. He is a strong defender of the rights to land of the indigenous Subanen tribe and their right to self determination. He is also known to have strongly opposed incursion of large scale mining and logging operations in their ancestral domain “without their free, prior and informed consent”. There are currently three approved Mineral Production Sharing Agreement (MPSA) in the areas–one approved Exploration Permit, and eight mining permit applications. Lucenio has been very vocal in his criticism and questions as to why the mining operations have been allowed in Bayog. As a result of his opposition, Lucenio had been receiving death threats before they were attacked. Secondly, on 3 September, 2012 at 5:15pm Feliciano “Poncing” Infante, president of the Pampang-Pandan Jeepney Association and founding member of the Abe Kapampangan representing the transport sector, was also shot dead by two gunmen riding on motorcycle in Jaoville Terminal in Barangay Pandan, Angeles City. Mr. Infante was a leader of the Pagkakaisa ng mga Samahan ng Tsuper at Operators Nationwide (Piston), group of transport sectors. Piston is a member of the KMU. Infante was the fourth leader attached to Piston who has been shot dead in recent times. Earlier this year, Felix Cultura, a leader of Piston in Caraga, was killed in March 2012; Erning Gulfo, a leader of Piston in Gasak and Divisoria was killed in May 2012 and Ka Jing, a leader of Piston in Baclaran and Divisoria was killed in June 2012. Though the attacks on these people are not surprising, the continued inability of the government’s institution to give these people protection is shocking. These killings have in fact become a commonplace. I urge you to ensure that these two incidents are properly investigated and to ensure that those involved are held responsible without delay. Also, ensure that the witnesses and families of the murdered victims are given adequate protection promptly should they decide to prosecute the case. Those who face threats should also be afforded adequate protection and the identities of those involved in making threats must be ascertained. I trust that you will take appropriate action in these cases.